This was an interesting kit. One of my mates Dave Egan told me about them. They were for sale in The Drum and Percussion Co-Op in Sydney. When I went to look, I thought they were a bit worn out. Turns out they were ex-hire drums from Sydney’s famous Sound Level rehearsal studios. There were actually two kits, one in a Steve Gadd type layup – 10/12/14/16/22 in deep shell sizes and the other which was 12/13/16/22 in standard depths. These were very early 9000 series shells. 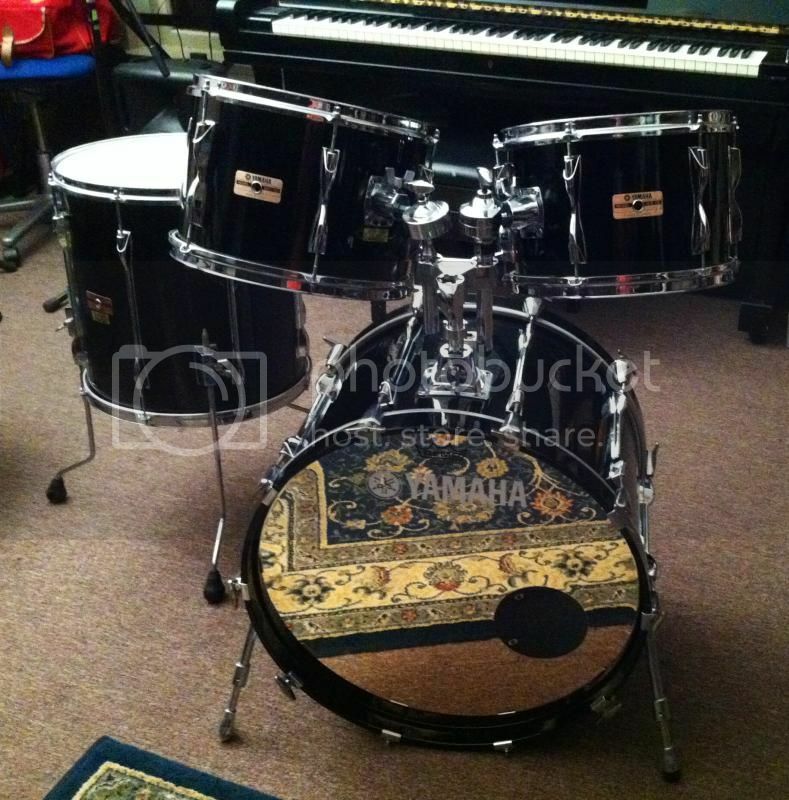 Two drums had RA badges and two had RC’s. The serial numbers I got from this site put them at 1982 and 1984. I took them completely apart and cleaned the shells and hardware. It was a marathon job. They were filthy. All the heads were wrecked. However the Yamaha hardware did not disappoint and there wasn’t a single issue that wasn’t solved with polish and lubrication. The bass drum hoops were another story. They had valleys in them from all the kick pedals over the years.